Active content will be disabled in all eBay listings on June 26, 2017. Click here to see your listings that contain active content. Need Help Managing Active Content? Active content in all listings across all devices will be disabled. Use eBay tools or third-party partners to replace any active content in your listings. The policy will extend to eBay Store pages. Active content is a broad term which covers any type of non-standard text that can be included in item descriptions to provide additional functionality. Such applications can negatively affect the user experience by inhibiting purchasing on mobile devices, increasing page load times, and raising security vulnerabilities. We also strongly suggest you don't invest in creating or augmenting a custom Store experience with active content since this capability will be retired at a later date. Use this guide to help you remove active content or find a third- party resource to help manage it for you. Contact information for trusted partners who can help is listed below. You can also check out our free template creator. You can see what your listing looks like with and without active content enabled. This new feature/check box is located at the top of the Description on your item page—it's the content in the box below. Advanced users and third-party partners can go to http://www.i-ways.net/mobile-friendly/en-us/ to find additional details as well as other recommendations to make the listing more mobile-friendly. This guide covers the most common cases where you might use active content in your listings. It also offers recommendations to replace active content. By removing active content, you will get the benefits of faster-loading listings that enhance viewing on mobile devices. In some cases, you may find alternative features and options already built into the listing flow (seller tools, My eBay selling form, and APIs) or in the standard View Item page. In other cases, we provide example code to incorporate CSS/HTML for similar results without using active content. 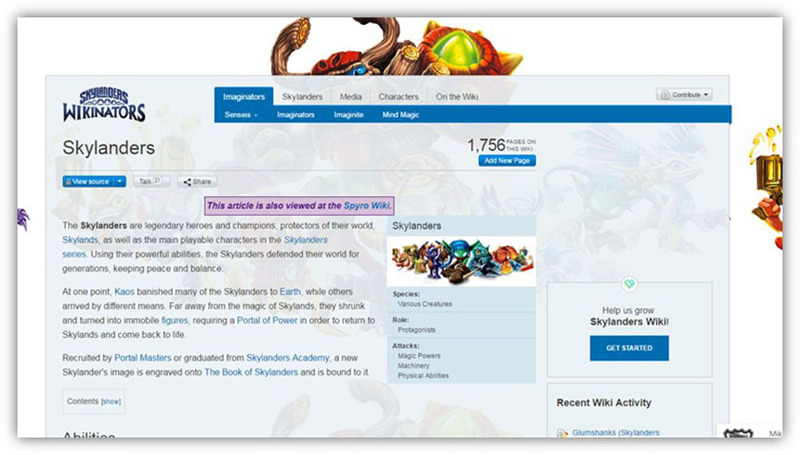 When you cross-promote related items, you may have used active content to display product thumbnails with links to live eBay listings, as shown below. We recommend using Promotions Manager to merchandise relevant items. See the Grow Your Business seller page for more information on Promotions Manager. 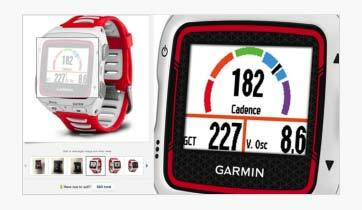 An example of how a promotion appears on your View Item page is below, just above the product image. Since your items compete against other sellers' items on eBay, promotions help yours stand out. They also drive traffic to your Store, where shoppers see more of your relevant inventory. That helps you sell more per visit. APIs for third party partners are available now. Links are allowed as long as they conform to eBay's link policy. If your item descriptions contain links, please make sure that they are defined correctly. Specifically, make sure they each include a target attribute in the link definition. The target attribute specifies where to open the linked document. After June, for a link to be clicked on successfully, the target must be defined to open in a new tab or window by setting a target="_blank" attribute to the link definition. If you do not define the target accordingly, the link may not open successfully. Newsletters, product coupons, discounts, and sales events can be effective tools for attracting and keeping buyers. Here are tips to make them more effective. If you want to tell shoppers about your newsletter, simply include a link to your eBay Store by using the listing frame feature. Note: To be eligible to use Promotions Manager, you must have an active eBay Store with a Store subscription. See the Grow Your Business seller page for more information on Promotions Manager. You can let shoppers easily search your eBay Store by including a search box in your item description section. Simply enable the listing frame feature. For more information see the Customizing your store's appearance help topic. You can see an example of an embedded search bar below. The listing frame feature not only allows Store searching, it lets you offer category links, newsletter subscriptions, and lets you display your Store logo. If you still have reason to create custom tabbed panes, create them by using only HTML and CSS. Below you'll find an example code to create a four-tabbed pane. You can cut and paste this code into the item description when you list. The result of this HTML and CSS is the tabbed pane shown below. The name of each tab label can be configured by editing the text between the <label> tags. So, instead of <label for="tab1">Tab 1</label>, you might have <label for="tab1">Description</label>. The content under each tab is input between the <section> tags. The tab dimensions, text font size, colors, behavior, and other look-and-feel elements are controlled through the CSS. Offering a robust picture gallery in your listing can also improve the user experience, especially on mobile devices. You can include up to 12 photos in your listings for free using the image gallery feature (24 in eBay Motors listings.) More images can help conversions. Plus, buyers can zoom in on gallery photos—another helpful feature to encourage conversion. If you create your own in-listing gallery, like the one shown, buyers on mobile devices will not be able to see them. Since more than 50% of shoppers use mobile, that puts you at a disadvantage. Plus, your pages take longer to load with custom gallery images. While not recommended, you may need to create your own image carousel in your listing by adding HTML and CSS to your item description. Below is one example of how HTML and CSS code can be used to create an image carousel. When you copy and paste this code into your item description, you'll get something similar to the image below. You'll need to include the actual paths to the image files between the <div> tags above. While we discourage custom image galleries, it can make sense for adding contextual photos and content to tell a specific story. 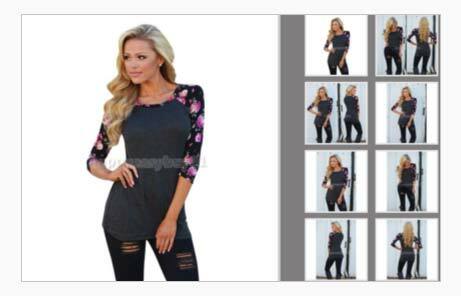 But you should also include the images by using the eBay image gallery built into your listing template. You can include videos in your listing using the HTML5 code below or by including an external link to a whitelisted video hosting site as outlined in the eBay Links policy. While some popular video hosting sites do not fully support HTML5, you can either host HTML5 video yourself or through a partner who supports it. Before you include a video, make sure you understand the eBay Links policy for more information on restrictions/requirements for videos in listings. Calculators built with active content won’t display properly after June 2017. We suggest you provide flat rate freight shipping so these charges are clear to your buyers while they’re browsing. If you cannot offer flat rate pricing, use the regular freight option wherein buyers will reach out to you for obtaining a quote or for arranging shipping on their own or plan to use our new location-specific shipping available soon. Another option is to include a link to your preferred carrier’s website, where they can view shipping costs (make sure this link complies with eBay's link policy. ), or add a small rate table into the listing using HTML code. If you sell motor vehicle parts, the Parts Compatibility feature generally does a great job of matching up parts to compatible vehicles. You can find this feature in the listing flow and API area. However, if you discover that the feature generates incomplete or slightly inaccurate information, you can embed a simple HTML table to give the complete list of compatible vehicles. For more information, see this help topic link: Parts Compatibility. Your listings can be optimized with responsive design to control width and user-friendly design on various devices and browsers. Using HTML and CSS in the item description, you can detect the browser or device type and serve up content that's easier to consume. If you use this code, here's what you'll see. As you can see in the 'Media Queries' section, column width, font size, and other page attributes are adjusted based on the size of the screen that is rendering the page. This feature eliminates the need to include an external page visit counter which may include active content. Currency conversion widgets: It's no longer necessary to include this feature. eBay will perform currency conversion for buyers and sellers when necessary. Social sharing icons: Social media site links in listings are not allowed. See eBay's Links policy document for more information. Fortunately, eBay already has Facebook, Twitter, and Pinterest sharing icons at the top of all eBay listings. <!DOCTYPE html> will be added by eBay to the description document so that browser knows what type of document to expect. The following HTML4 elements have been removed in HTML5. So please do not use them. There are also many more providers that are active content compliant – please view some of them here or just ask your provider if they are compliant with eBay’s active content change. You can also check out our free template creator. Immediately convert listings to non-active-content with software that can manually run and deactivate active content on listings. Non-active-content template builder that can be used to replace old listing templates with an updated, compliant one. Ability to bulk update all existing listings at once or create new listings. We provide a complete set of active content-free listing tools, including Listing Templates, the Scrolling Gallery marketing tool and View Counters. Create new listings free from Active Content via our website or our iPhone app. No code needed. Easy drag and drop, design- your-own layouts. 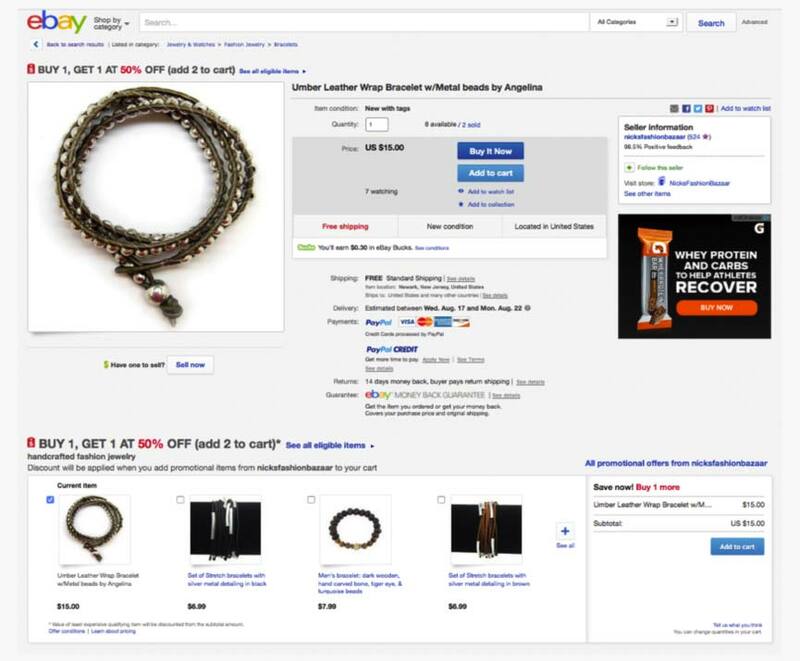 One-Click Post to Ebay: Catalog sync with your eBay stores. eBay will disable the use of active content in all new listings across all devices, and it will not be rendered by default. When will active content be disabled? Starting June, 2017, active content will no longer load or be visible to buyers in your item descriptions. In an effort to improve the buyer experience on both mobile and desktop, we will be disabling active content on item description pages. It’s beneficial to remove active content from your listings now for faster page loading, cleaner presentation across all devices, and to improve security in the marketplace. How can I find which of my listings have active content? Click here to see a full list of your items that contain active content. Will I still be able to brand/personalize my Store/listing? You can still brand and customize your storefront and listings, but you'll have to do so without active content. You can get many of the same branding elements by using HTML and CSS. How do I know if my item description will be impacted by this change? You can preview each of your listings individually to see what your listing will look like when active content is disabled. If the listing looks the same, you may not need to do anything. If your listing is impaired, we recommend you remove all of the active content in that listing. To use the preview tool, go to your view item page and click on the preview link at the top of the item description section. I use a third-party provider to design and manage my listings, and they assure me that their tools and features are already compliant. Why is eBay still sending me messages about my listings that need attention? You have older Good ‘til Canceled (GTC) listings. If you originally listed those items before your provider updated your application, those listings may still contain the provider’s older features and content. Remember: Your provider lists your GTC listings the first time, and then eBay automatically relists them for you after that—but eBay does not modify your listings. We strongly recommend you contact your provider to learn how they can help you update your older GTC listings, draft listings, and/or older listing templates to be compliant. Does this change mean eBay will no longer allow me to use a third-party provider to design and manage my listings? Not at all. 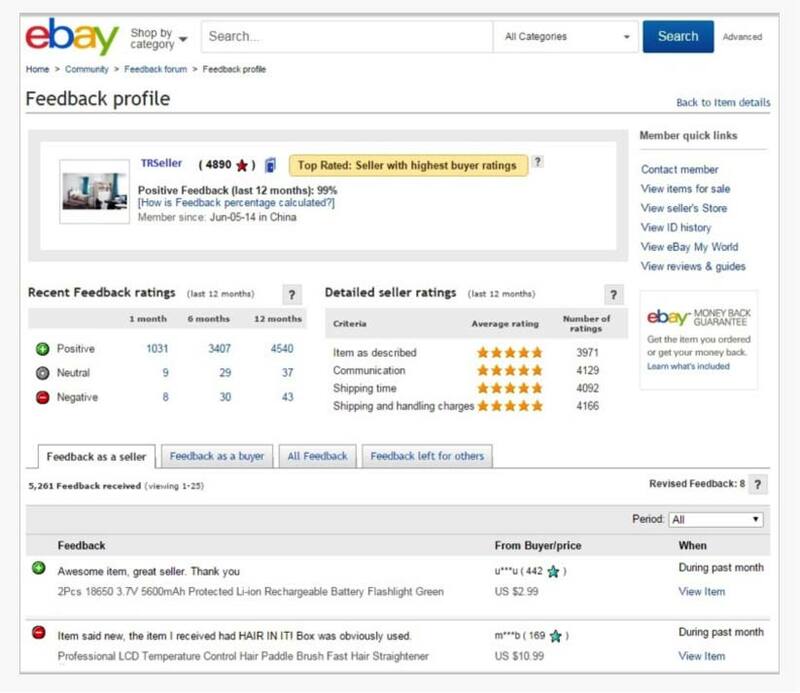 In fact, eBay has recently released new capabilities to make it even easier for third-party providers to help sellers manage inventory. We support and encourage the use of third-party providers. What does the term “no longer render” or “disabled” mean in relation to active content? The experience that the content was meant to enable (video, animation, etc.) will not load, or will not display as expected. The static content available in the listing will continue to display, however, the active component from that description will not be available. What if my item description includes features that use active content? Remove or replace all active content by using safer and more mobile-friendly techniques with HTML and CSS, text only, or use existing built-in eBay capabilities. If you use a third party and they include features which use active content, know that we are working with them to transition to mobile-friendly, safe content wherever possible. You may need to work with your partner to reference a new template. If I don’t take action before June 2017, what will happen to my listings? Your eBay listings may not function as expected when we begin to disable active content in June. Videos may not work, links may not open, images may not enlarge, and other active elements may not perform as they had before. Note: Failure to adjust active content in your listings may impact a buyers' ability to discern item information after June 2017. This means you may be responsible, as a seller, should a buyer claim be filed as a result. What if my eBay store includes features that use active content? We will only disable active content in your listings in 2017. However, we highly recommend that sellers discontinue any investment in a custom html stores experience since this option will not be supported long term. We will provide additional information to let you know when active content will no longer be permitted in Store pages. Will there be exceptions for using active content in item descriptions? No, there will be no exceptions. Are links allowed in item description? If links are included in your item description target="_blank" attribute should be added to the link. Links in your item descriptions should only be used if they comply with eBay's link policy. If your item descriptions contain links, they will need to open in a new tab or window. To achieve this, include the target=”_blank” attribute in the html code in your links. If you don’t include this attribute, the link may not work for some browsers starting in June 2017. What happens to links that do not include target=_”blank” attribute? Links that do not include the target=_blank attribute will open within an iframe in your item description page. This view will only show a portion of the linked to site and will not be a good experience. Including the target=_blank attribute will open the linked to site in a new window, allowing the buyer to read all of the site content as normal. How do I bulk-update my listings using the target="_blank" attribute? Under Find type in target= "_self". Under replace leave it empty. Find target="_top" replace with <empty> to remove it. Find target="_parent" replace with <empty> to remove it. Find target="_blank" replace with <empty> to remove it. *These are examples of standard HTML target values, replace any other target values you may have. Find <a replace with <a target=”_blank” to add the correct target attribute on ALL links. I received notification from eBay that I have active content in my listings but I didn’t include any? How is this? Your listings may include active content which was previously embedded by a third party provider. To see if the experience of the listing is impaired after the June enforcement date, use the Item Description preview tool. To discover the specific details regarding the active content in your listing, make sure you check for the below tags in the HTML code behind the listing using the cub listing editor tool. How do I remove active content from listings? Search for the following tags in your listings (HTML code). Remove those tags. It may be simpler to copy the pertinent text content, delete the entire code and replace with just the text based version of that content. How can I remove Active Content in bulk? There are third party providers who can review listings and help with removal (for a fee). You can see their information in the above table. What is the i-ways template creator? The i-ways template creator is a free template creator provided by one of our third party partners. What does i-ways template creator do? The i-ways template creator builds mobile responsive listing templates in less than 5 minutes. You can customize it and upload a business logo. Who should use the i-ways free template creator? What are the benefits of the i-ways free template creator?